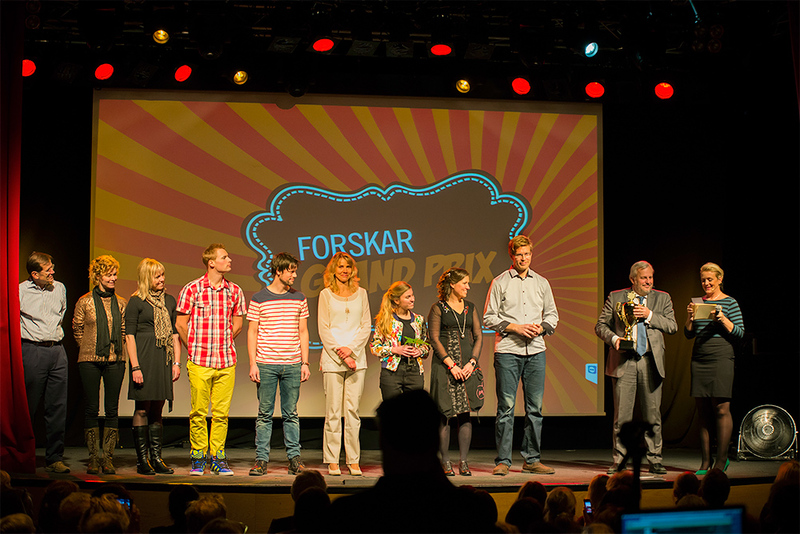 Researchers’ Grand Prix is a national competition that was run for the first time in Sweden in 2012. Researchers are challenged to make a four-minute presentation about their research that is as captivating and educational as possible. The audience and an expert judging panel select the winner. Photo from The final of the 2014 Researchers’ Grand Prix. Regional heats are organised by universities and science centres around Sweden in conjunction with the annual European science festival, Researchers’ Night, in September. The winners are then invited to compete in a national final in Stockholm during the Nobel prize-giving week. The contest is coordinated by VA (Public & Science) and the final organised by VA together with research councils Formas, Forte, the Swedish Research Council and Sweden’s innovation agency, Vinnova. The final is televised nationally by UR (the Swedish Educational Broadcasting Company). The aim of the contest is to increase public interest in science and research. To achieve this researchers must be able to talk about their work in a straightforward and engaging manner and the competition is designed to encourage and develop the skills and confidence to do this. All contestants are given intense presentation skills training as part of the competition. 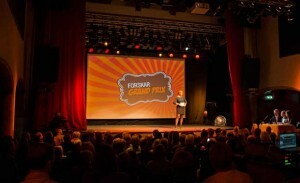 Researchers’ Grand Prix is inspired by similar international concepts like Famelab and ScienceSlam, as well as Grand Prix contests in neighbouring Denmark and Norway. For further information visit the Researchers’ Grand Prix website. 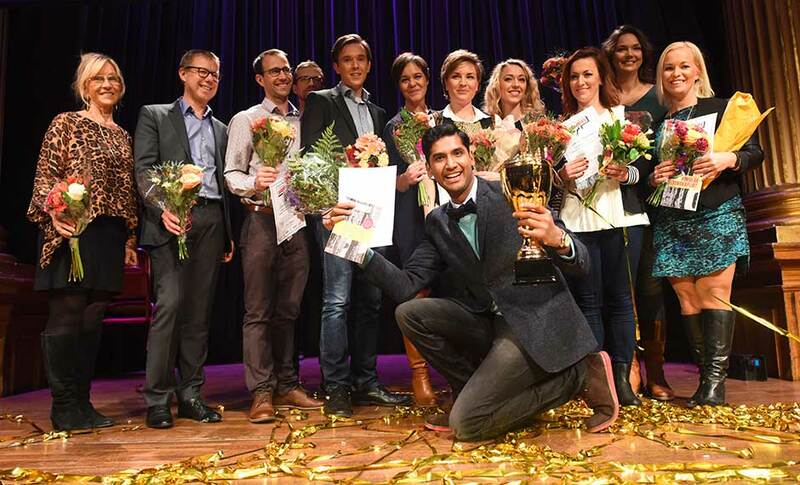 Sunil Kumar Ramamoorthy, a researcher in renewable plastics at the University of Borås, has won the Swedish 2015 Researchers’ Grand Prix and the title of Sweden’s best science communicator. Sunil’s presentation about plastics manufactured from corn, soybeans and flaxseed captivated both the audience and the jury at the final in Stockholm. 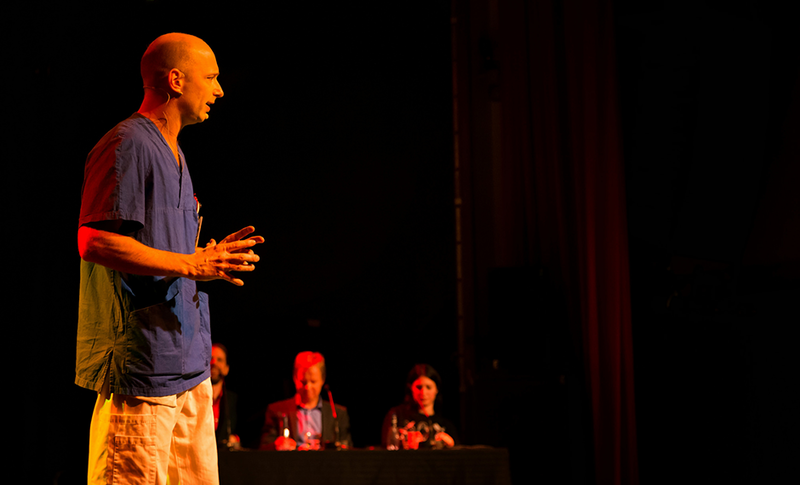 On 26 November, its time for the national final of the 2015 Researchers’ Grand Prix, in which researchers are challenged to give the most captivating, inspiring and educational presentation of their research – in just four minutes. 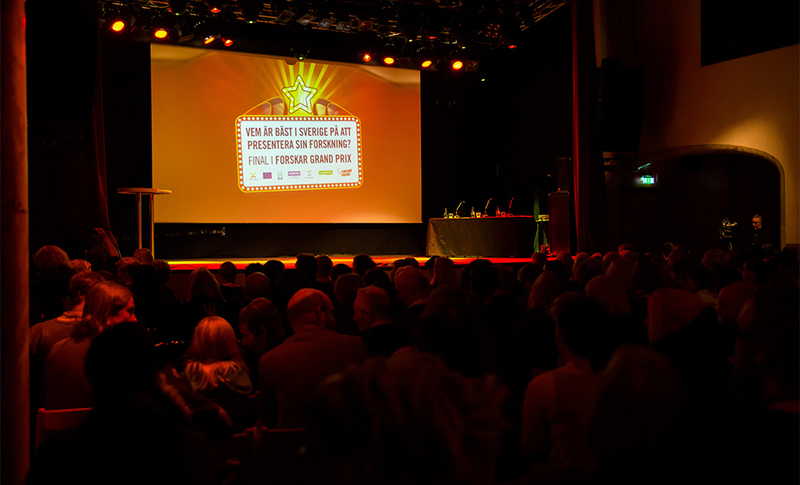 Eight regional finalists will be stepping on to the stage in front of a live audience in Stockholm to compete for the title of Sweden’s best science communicator. Press release 28 November 2014. 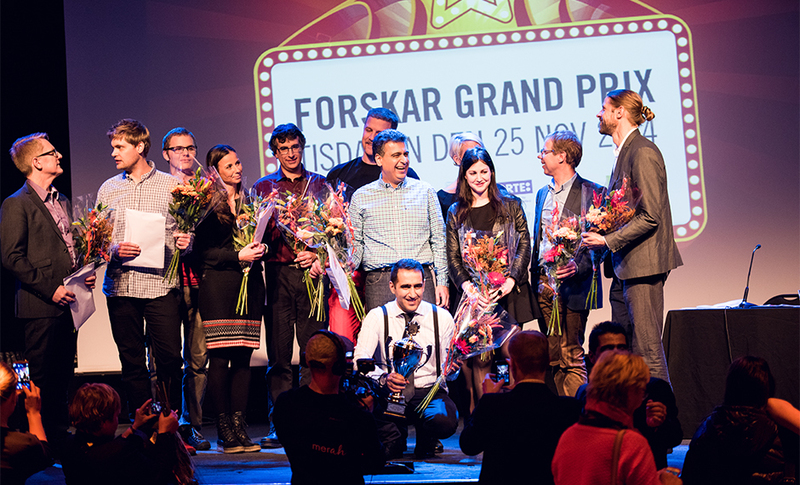 Michael Braian, a researcher in dental prosthetics at Malmö University, has won the 2014 Swedish Researchers’ Grand Prix. This is a national competition that challenges researchers to present their research to a public audience in an entertaining and informative way within a set time. Michael’s presentation about 3D printing of teeth was voted winner by the audience together with an expert panel of judges. 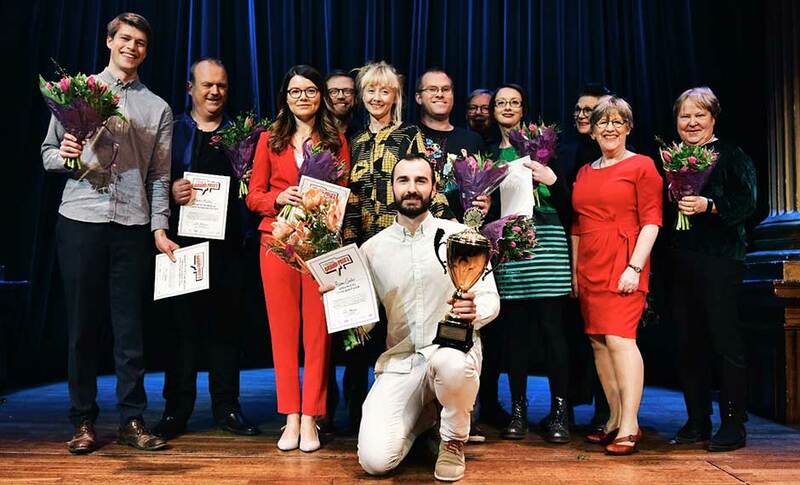 Andreas Ohlin, a researcher at Örebro University, has won the Swedish 2013 Researchers’ Grand Prix – the national competition in which contestants must present their research in a very short amount of time. 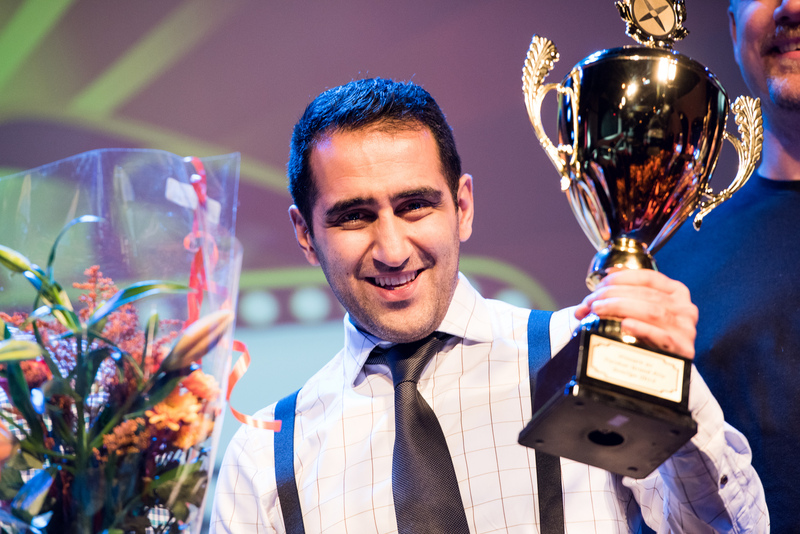 He was selected as the winner by an expert panel of judges and the audience on 5 December in Stockholm. It should be fast-paced, understandable and above all exciting. The Researcher Grand Prix competition was run for the first time last year. Now it is time for researchers in different scientific fields to step into the spotlight. This year’s 60 contestants will be talking about leg amputations, login security, the Swedish author Selma Lagerlöf and many other subjects – in just three minutes. 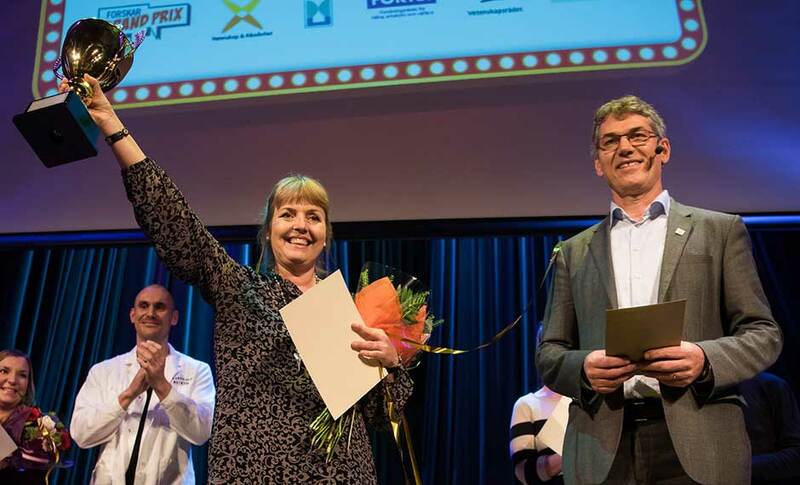 A researcher in sensory biology at Lund University has won the final of the first Researcher Grand Prix in Sweden – a national competition in which competitors present their research in a very short amount of time. Marie Dacke was selected as the winner by an expert panel of judges and the audience at an event held last night.